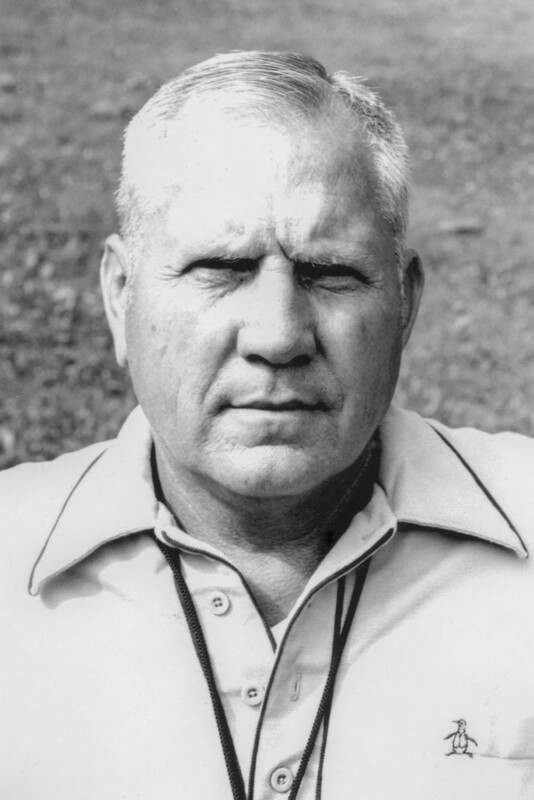 James A. Brakefield was inducted into the Emory & Henry Sports Hall of Fame in 1981 for his accomplishments as a football coach. Brakefield, one of the architects of the “wishbone offense,” was an assistant under legendary Head Coach Conley Snidow during the Tangerine Bowl Era of Wasp football. Brakefield’s coaching career spanned 34 years, almost all of it at the collegiate level. While head football coach at Wofford, he led his team to a number one national ranking and a 20-game winning streak during 1969 and 1970. He was the state and district coach of the year during that period. Brakefield went on to become head coach at Appalachian State University for nine years, and after his retirement in 1979 he was an adjunct professor of physical education and an advisor to the chancellor on athletics. Coach Brakefield died in 2002.